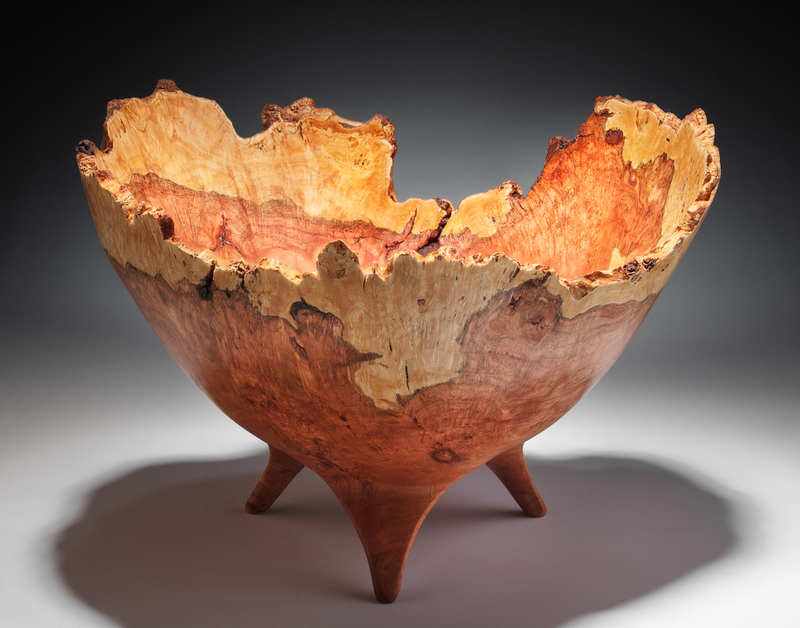 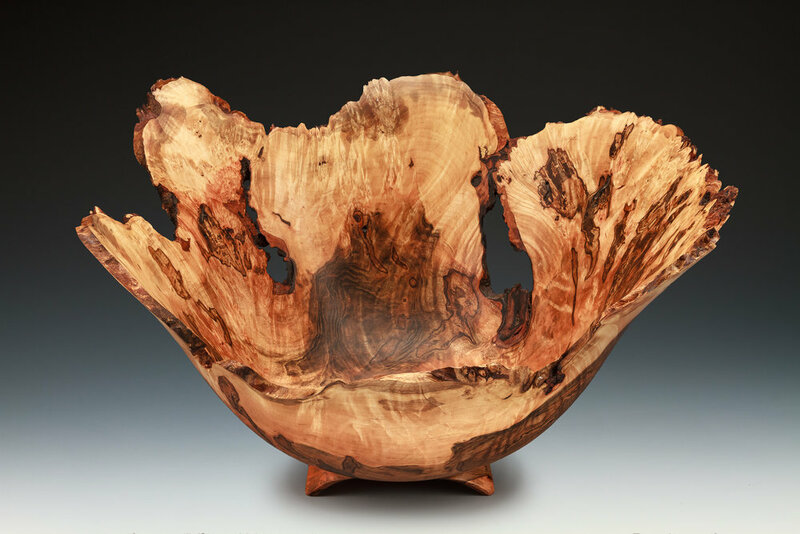 Natural edge bowls are created when one incorporates the natural contour of the tree’s trunk into the rim of the piece, with or without the bark attached. 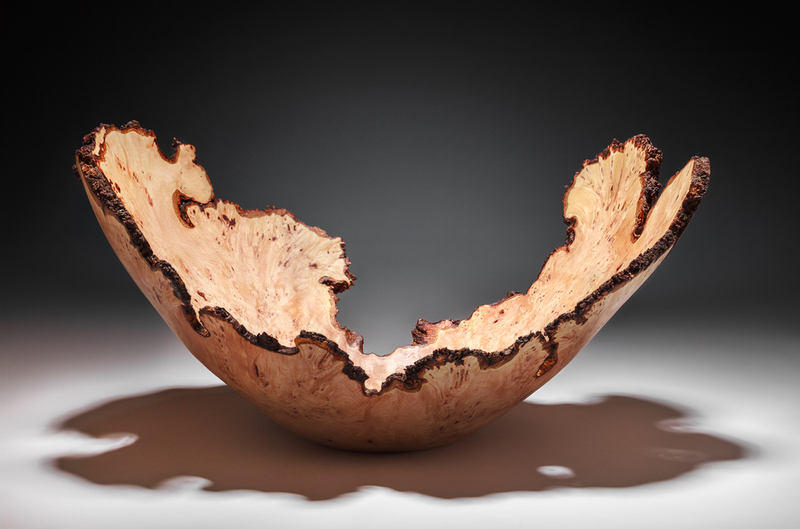 Most of these bowls are turned to a wall thickness around ¼ of an inch. 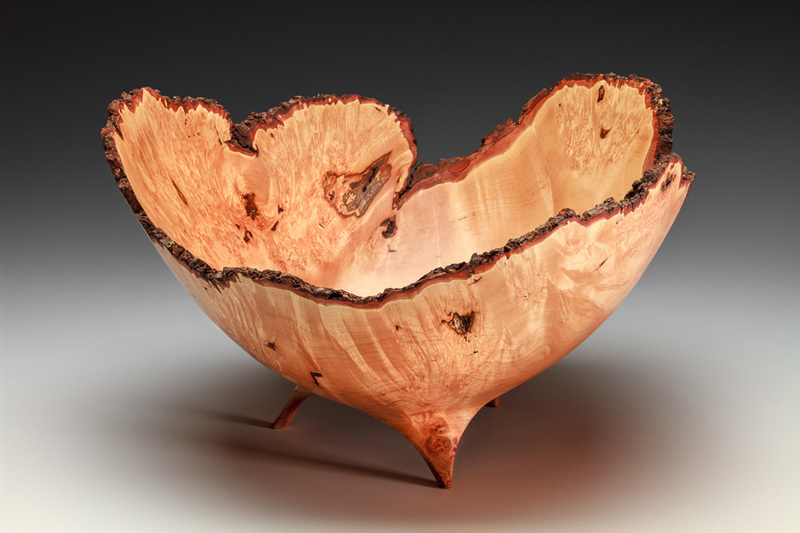 They generally dry quickly and their outside shape can distort somewhat (oval), usually in a matter of days. 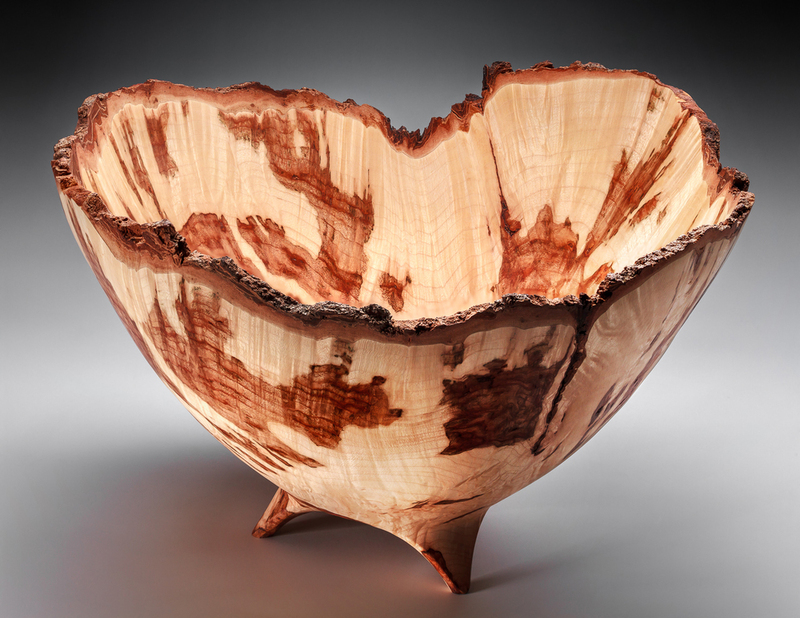 After this drying period they are sanded and finished with an oil base finish.